Catherine Constance: Christmas rush. 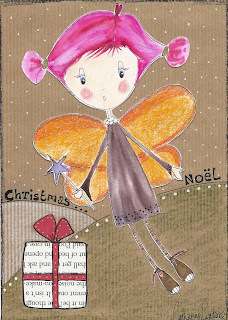 . .
lovely christmas angel, i lov eher little shoes!!! Sorry your daughter won't be home, my son was n't lat christmas, its a different feeling for sure those first holidays without everyone home.Sadly they are growing up and I agree lets go to them, that'll show em!!! She's soooo lovely!! The gift is something sweet!! She looks like she's flying to eldest daughter! Cute! It's tough as kids grow up and get their own lives. This is cute! Wow, you're good! I haven't even lifted a pen to write out a card yet! 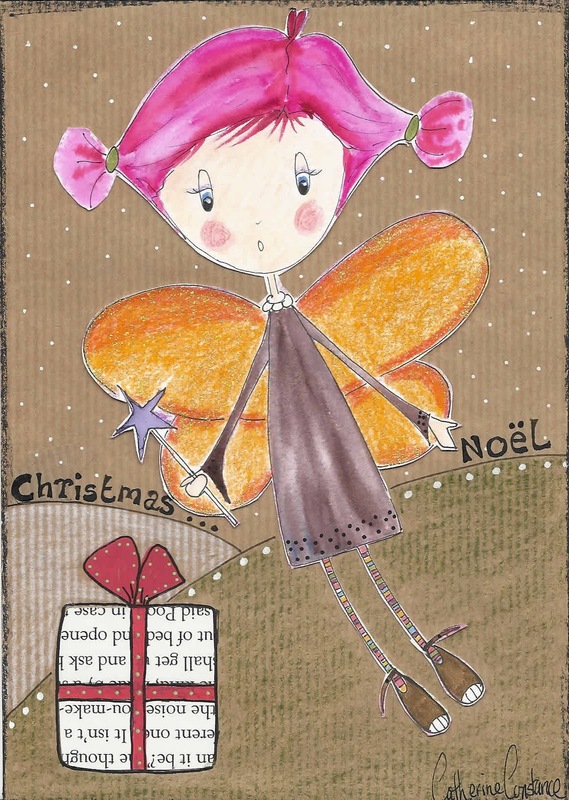 What a lovely and fun Xmas piece! And wow! - are you organized!!! She'll be back next year - or as you say, you can always hunt her down!! your girl is so cute! I see you are taking I heart drawing with Jane! so am I! Maybe you can go see your daughter after the holidays? i love her! especially her pink hair! I am sorry to hear she won't be joinin gyou this year...i guess that's in my future at some point...i will enjoy every minute with my girls knowing that they do grow up! awww, here's a hug for you my friend! I love the autumn wind piece below, too! agree with all you have said! always love fairies with wonderfully coloured hair! very cute. I like her orange wings.